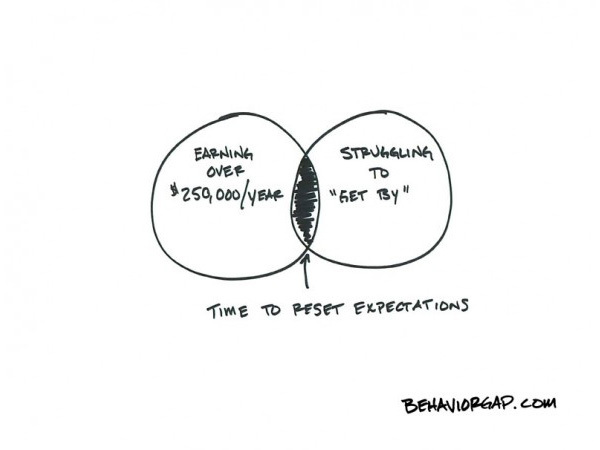 Behavior Gap is one of my favorite online cartoons. Here are my top 11 with my comments in red. if there were no restraint from either side, you'd be in deep trouble. 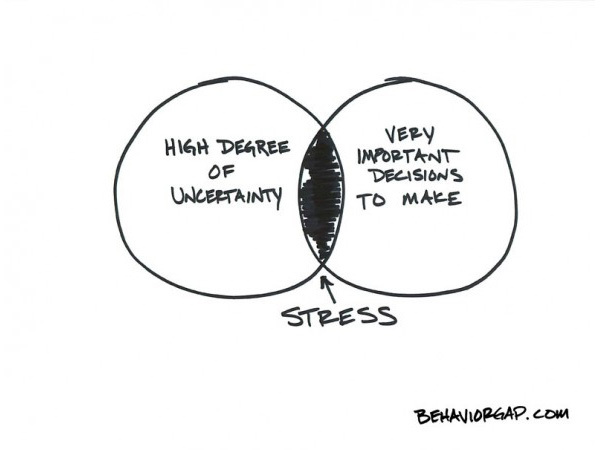 humans like complexity. we make-up grandiose answers for problems that have easy answeres. 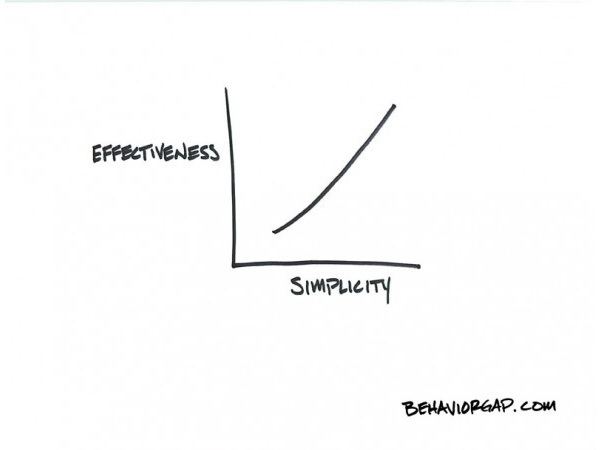 we think like this graph, but usually, the simplest solution is the most effective. 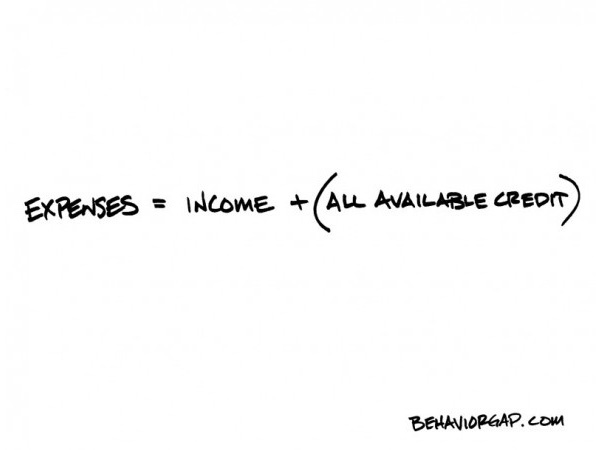 live below your income. ignore at your peril. 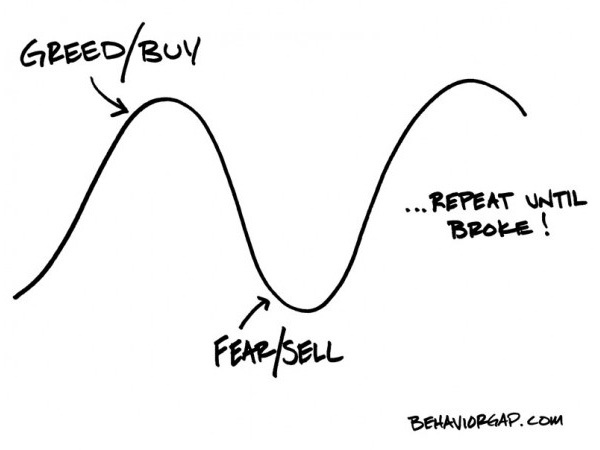 this explains dumb investments around ipos and stocks hyped by MSM. 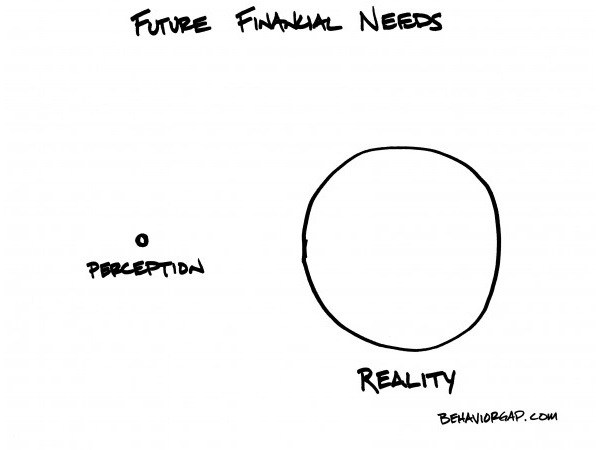 do you know how much you should be saving? 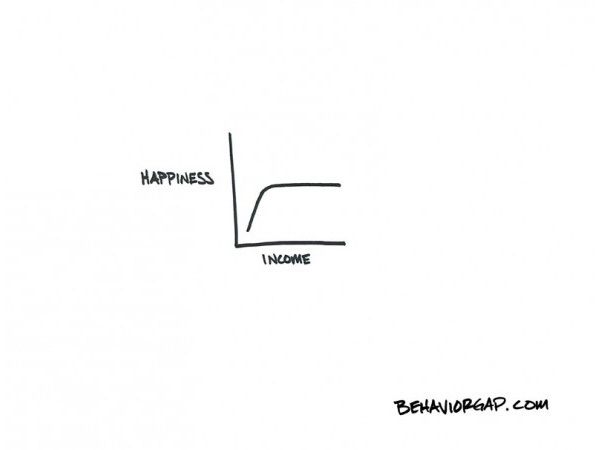 once your income hits a certain level (studies say $75k), your happiness stays the same. easy to shill out advice when you aren't responsible for the consequences. 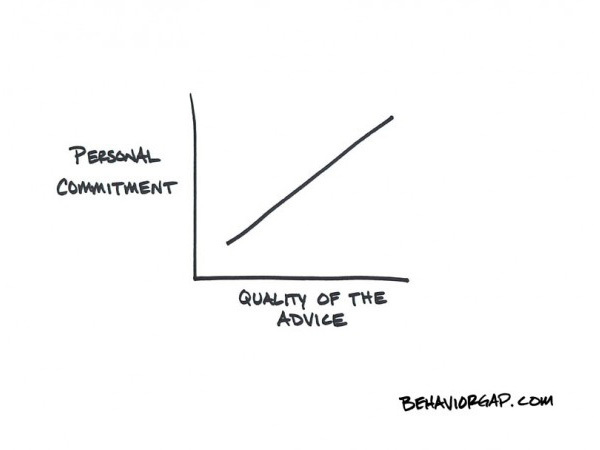 accept advice from people who have a vested interest in you. literally, a vested interest. the problem is never income, it's lifestyle. 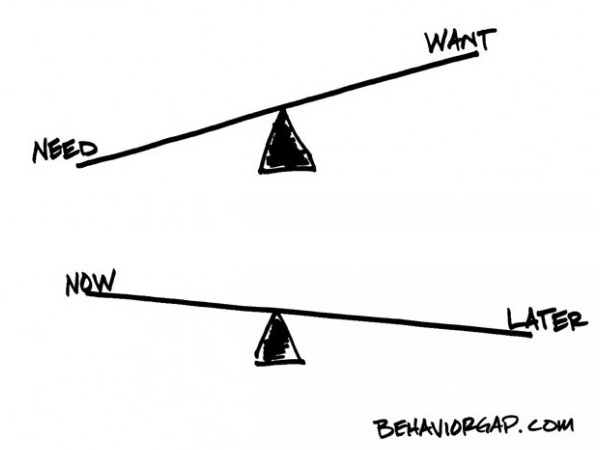 the refusal to defer gratification is a fundamental attribute of childishness. 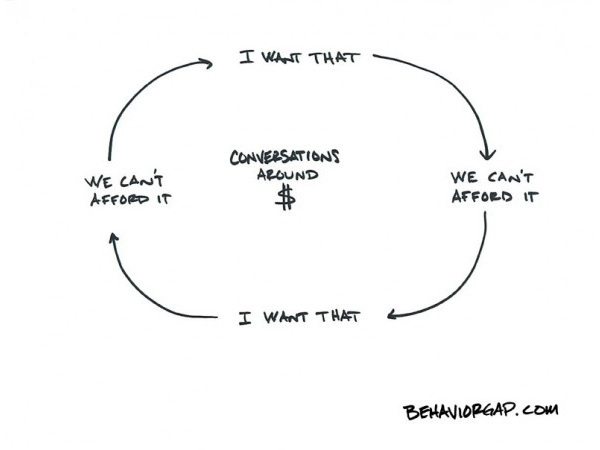 explains the emotions around marriage, children, home-buying, and career moves.